Access control systems offer selective restriction of access to an area, room or resource. High security functions can also be added to include Biometrics, anti tailgating, anti passback and people counting. Are access control works range from single door installations, on the front entrance, the comms rooms or your sensitve information filling areas to Multi door buildings to several multi door buildings connected via IP across the world. We can also maintain and upgrade your existing access control system. Red Technical Services are a Gold installation partner of Controlsoft, and can offer Design, Installation, Commissioning and Maintenance of Controlsoft systems. 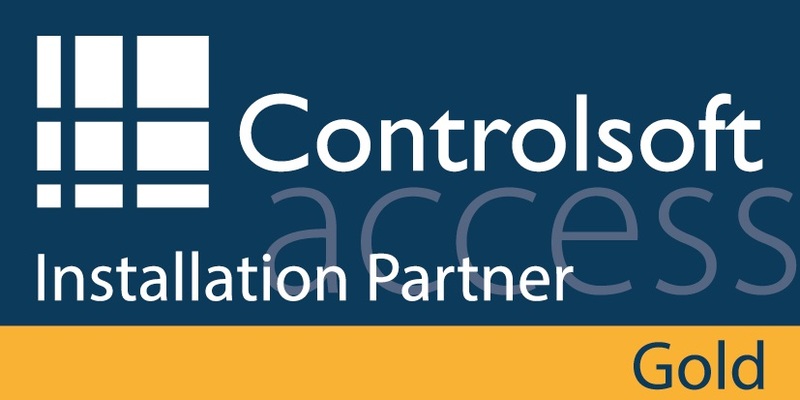 With our platinum partnership with TDSI we can offer tailor made access control systems of any size ranging from a single door to an unlimited amount of doors across remotes site based anywhere in the world. The Tdsi system can offer realtime event monitoring and with the integration of cctv systems access events have the added security of camera images being added to the events screen for the security guard to monitor. The Tdsi system also has the advantage of being able to expand to include or integratewith other security and smart card systems, including Intruder alarms, BMS systems, visitor management, time and attendance management, booking systems, security guard tours, fire alarm role call management, cashless vending and many more. A fully featured networkable access control unit, EXpert boasts a high specification with supervised inputs and relays, making it suitable for monitoring and signalling alarm conditions. Drawing on the proven MIFARE® smartcard technology, this high quality system has a combined reader and keypad, providing added security if desired by requiring both the card to be presented and the PIN to be entered before access is allowed.